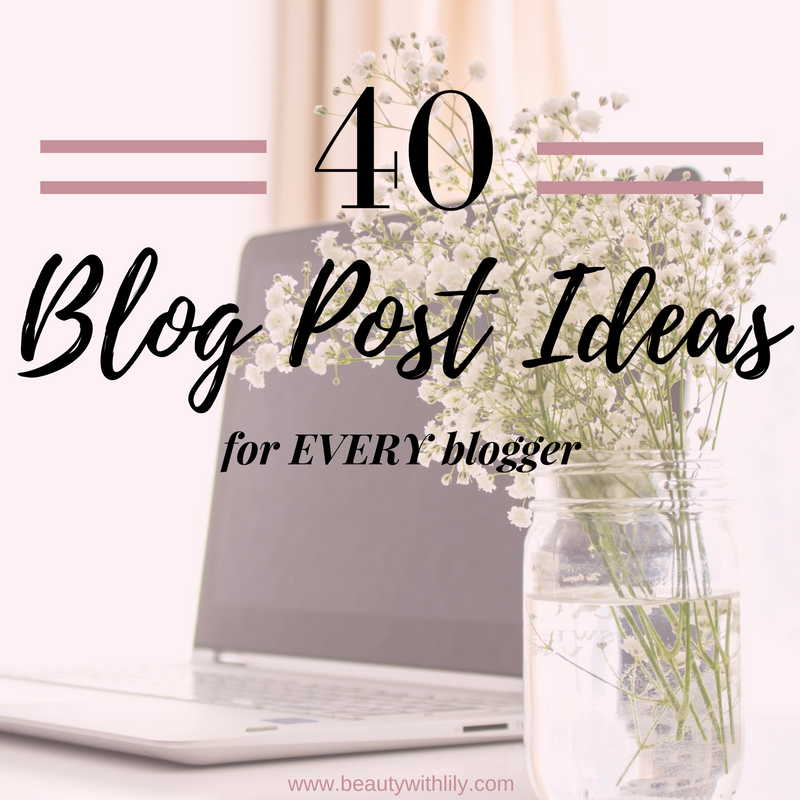 If you’re a blogger, chances are that at one point or another you’ve had “bloggers block.” You have NO idea what to write and you really want to stay on top of your blog and not miss any days. I understand, I am the same way. When I get stuck in a rut, I don’t want to “mess up my blogging schedule” but I also don’t want to force anything either. Don’t fret! 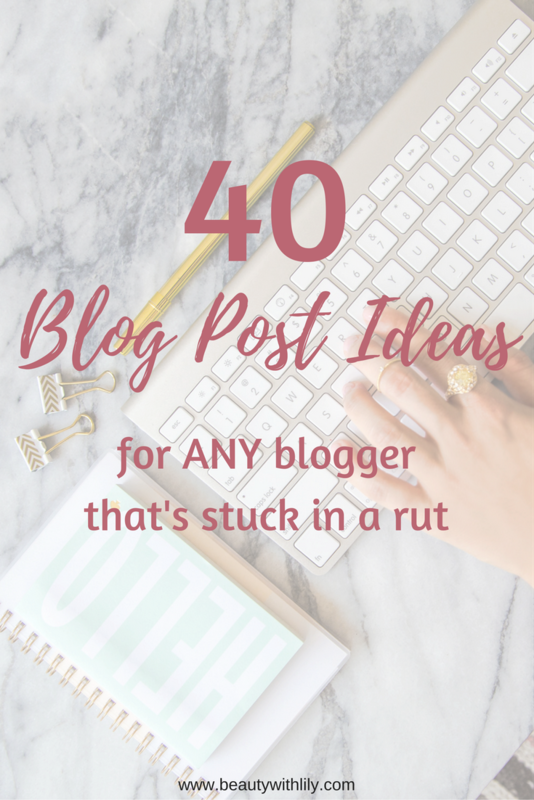 I’ve compiled 40 blog post ideas that will help any blogger who’s stuck in a rut and needs a little extra help. I could have gone for days…but didn’t want to overwhelm you all. I hope these help! –What do You Carry in Your Bag? I hope this gave you a few ideas on what to write about the next time you seem to be out of ideas. Better yet, you can type a few of these up and have them as “backup posts” for days you don’t have time to finish what you wanted to get up or maybe you just want to spend some extra time with family. These ideas will work so well for that too! What do you do when you’re stuck in a rut? Think you’ll use any of these ideas? "How To Avoid Dry Skin + DIY Body Scrub"
"Best Subscription Box | PopSugar #MustHaveBox"